The O. Wayne Rollins Foundation has established a chair honoring Stephen D. Clements, MD, an Emory physician and longtime friend of the Rollins family. This high-level academic position acknowledges Clements' many contributions to clinical care, prevention and discovery in cardiovascular disease. The Stephen D. Clements, Jr. 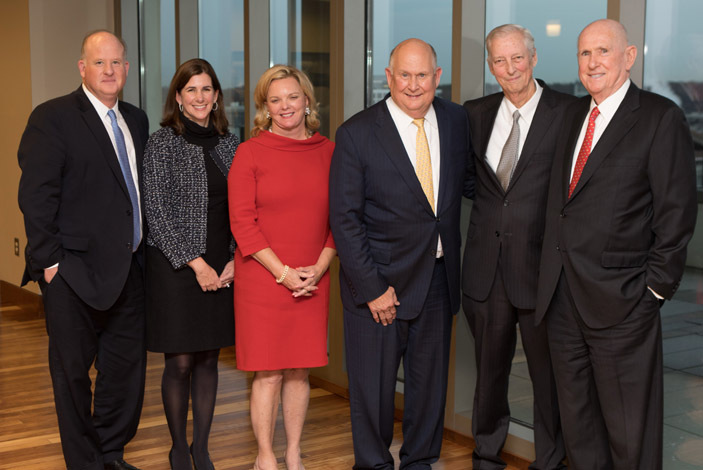 Chair in Cardiovascular Disease Prevention is the ninth faculty position that the Rollins family has endowed at the Rollins School of Public Health and it will complement the Wilton Looney Chair in Cardiovascular Disease Prevention established in 2013. 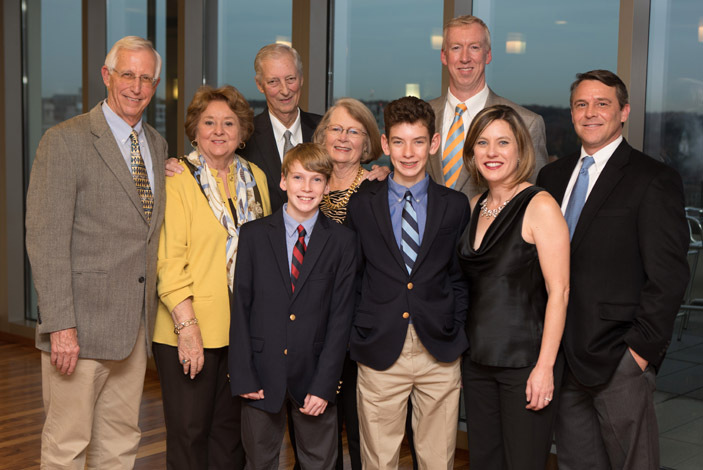 Emory's Woodruff Health Sciences Center celebrated this new chair in December. The celebration began with a welcome from James W. Curran, MD, the James W. Curran Dean of Public Health. Claire E. Sterk, president of Emory University and the Charles Howard Candler Professor of Public Health, offered her appreciation, noting that, "Emory is only as strong as its partnerships, and we are fortunate to count the Rollins family as friends of our university." Jonathan S. Lewin, MD, FACR, executive vice president for health affairs, executive director of the Woodruff Health Sciences Center and president, CEO and chairman of the board of Emory Healthcare, highlighted the importance of endowed chairs to the success of an academic health center. 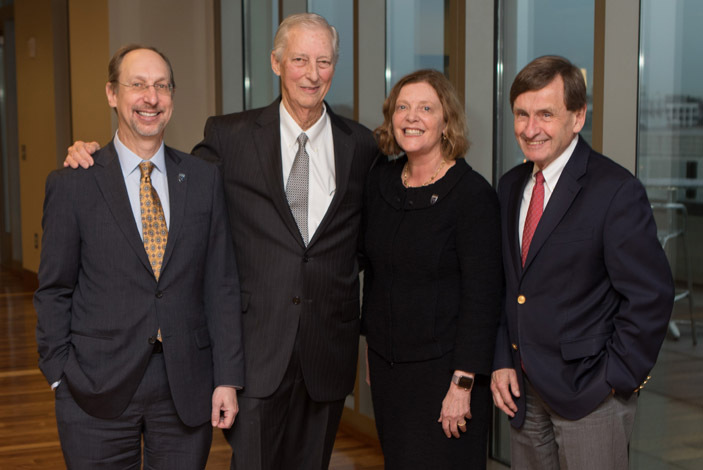 Endowed chairs "allow us to accelerate the pace of breakthrough discoveries that lead to better care and cures, and they offer powerful opportunities to recruit and retain exceptional clinicians, teachers and researchers," Lewin remarked. Clements' colleague in cardiology, Angel R. Leon, MD, the Linton and June Bishop Chair in Medicine, spoke of his extraordinary clinical skills, benevolent bedside manner and generous friendship. Clements closed the program, extending his appreciation to the Rollins family and to the mentors, friends and family members who supported him throughout his career. Clements grew up in Woodbury, Georgia, and earned his medical degree at the Medical College of Georgia. He completed a residency at Grady Memorial Hospital and a fellowship in cardiology at Emory before joining the US Army Medical Corps, where he earned the Army Commendation Medal for Meritorious Service. Clements is board certified in cardiology and internal medicine and holds the R. Harold Harrison Endowed Chair in Cardiology at Emory University School of Medicine. He joined the faculty in 1973 and has received several prestigious awards during his 44-year tenure, including the Lifetime Achievement Award from the Georgia chapter of the American College of Cardiology.